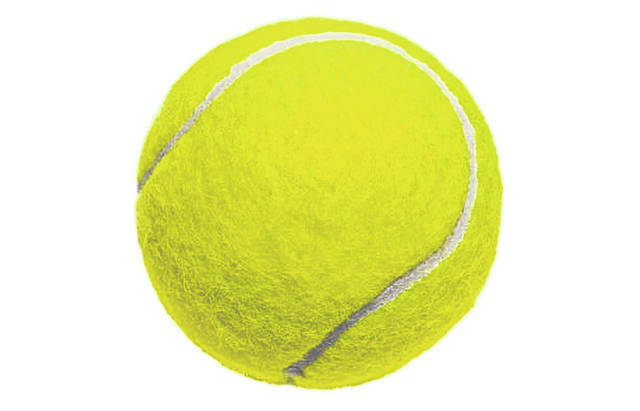 PORTSMOUTH – Six of Scioto County’s tennis teams took to the court Wednesday to decide who would add a notch in their win column during the first week of the season. In singles, Wheelersburg senior Drew Jackson took care of business once again on Wednesday, defeating East’s Ethan Howell in straight sets (6-0, 6-0). Mason Nolan of Wheelersburg also picked up a point for the Pirates by defeating Noah Stiltner of East in straight sets (6-0, 6-0). Rohit Kateria of Wheelersburg picked up his second varsity win of the season on Wednesday by defeating East’s Ethan Johnson in straight sets (6-0, 6-1). In doubles, Wheelersburg’s Carson McCorkle and Logan Davis defeated East’s Marissa Fal and Andrew Pyles in straight sets (6-0, 6-0). To end Wednesday’s match, Wheelersburg’s Gavin Rase and Zac Mays picked up their first varisty win as a team by defeated East’s Shaw Newsome and Devin Schaefer in straight sets (6-0, 6-0). Wheelersburg improves to 3-0 on the season and will face Portsmouth on Thursday to try and earn their fourth win on the year. The Valley Indians defeated the Minford Falcons Wednesday night in the two’s match held at Minford, 3-2. In singles, Minford’s Parker Jacobs took the first point for the Falcons by defeating Hutson Oyer in straight sets. (6-0, 6-0). Valley’s Nate Crabtree picked up a win for the Indians in singles by defeating Sam Wiehle in straight sets (6-1, 6-1). In the final singles match, the deciding factor in Wednesday’s score, Valley’s Landon McBee defeated Minford’s Alex Crum in straight sets (6-1, 6-1) to give the Indians a 2-1 advantage. In doubles, Minford’s team of Zac Hammond and Josh Wiehle defeated Valley’s Jared Phillips and Kyle Baldridge in straight sets (6-0, 6-0). However, Valley’s Nick Crabtree and Rylee Holbrooke defeated Minford’s Andy Crank and Adam Cordle in three sets (6-3, 0-6, 6-3) to give Valley the 3-2 win. The Notre Dame Titans defeated the Portsmouth Trojans 3-2 in their tennis match held at Portsmouth High School Wednesday evening. In singles, Portsmouth’s Luke Rodbell defeated Notre Dame’s Joyce Zheng in three sets (6-4, 6-6, 10-4) in what would be a theme for the day. Notre Dame’s Alston Lin defeated Portsmouth’s Savanna Spence in three sets (6-4, 4-6, 6-3) tying the match at 1-1. Portsmouth’s Jairemiah Brown gave the Trojans a 2-1 lead with his defeat of Notre Dame’s Lauren Campbell in three sets (6-7, 3-6, 6-3). In doubles, Notre Dame would win back to back games to go home with the 3-2 win over the Trojans. ND’s Devon Bowling and Abigail Veerey defeated Portsmouth’s Sheridan Sutherland and Autumn Wright in three sets (6-4, 5-7, 7-5). In the final match of the day, ND’s Courtney Blau and Payton Hart defeated Portsmouth’s Ella Gullett and Sydney Tackett in straight sets (6-1, 6-2).